The Tampa REIA Onsite Renovation Group (ORG) is an exciting new educational and networking group for both new and seasoned investors that focuses on the acquisition, renovation and retail resale (fix & flip) or rental (buy & hold) of single or multi family residential homes. 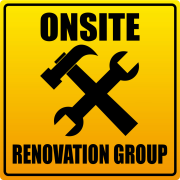 The Onsite Renovation Group meets on the 3rd Tuesday of each month at 1:00PM at an active renovation site, build site or rental property which will vary from month to month and be announced prior to the meeting on the Tampa REIA Calendar. Be sure to check the calendar before attending since the renovation site can change at the last minute. Where? Onsite Location TBA each month on Tampa REIA Calendar.